TV executive Lynette Carolla, wife of comedian Adam, along with comedy writer and best-selling parenting author of Sippy Cups are Not For Chardonnay - Stefanie Wilder-Taylor are two mothers of twins breaking it down parenting style. In this raucous hour of conversations they cover a range of topics from their marriages and kids, to the pros and cons of ferberizing to which one of the Real Housewives have had too much filler (all of them). The format is informative, loose and most of all ... Maggiori informazioni entertaining. A wide variety of guests show up such as friends of The Adam Carolla show, (David Alan Grier, Greg Fitzsimmons, Teresa Strasser, the lovable Dr. Bruce) as well as big names in the parenting biz to personal friends and anyone that they find interesting. This hour will feel like you're hanging with your best girl friends. 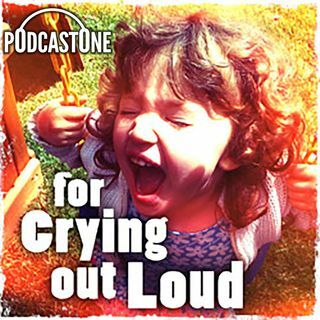 Lynette and Stefanie are honest, silly and sometimes become vulnerable as they discuss their own experiences as wife and mom. Put them in your ears while you clean your floors and let the girls keep you company during what will surely become your favorite hour of the week. Esplicito I'm Not A Rainbow Expert Okay? Esplicito Yeah That Makes Sense..
Esplicito OMG I Want Your Life! Esplicito What Are You Gonna Do About It?